Robust, sturdy kit consisting of a few parts that snap together - ideally suited for children ages 3 and up. The stoplights with light and sound function provide maximum play enjoyment. The gates are operated by hand. Built-in rerailer facilitates placing locomotives and cars on the rails of the track. Harmonious integration into the Märklin my world play world. Compatible with the Majorette Creatix road system - therefore many additional possibilities for playing. This railroad grade crossing consists of 2 road ramps that can be plugged into the section of track included with it. Two gates are mounted on the road ramps and they can be opened and closed manually. The stoplights with the cross bucks represented have a battery-operated light and sound function. The section of track included with the grade crossing can be used as a rerailer. This section of track has guide wedges in the roadbed that position the wheels correctly on the rails of the track when the car or train is being pushed or run. This railroad grade crossing can be built into the existing my world track system and fits into the track pattern. The road ramps include connections that are compatible with the Majorette Creatix road system. The railroad grade crossing is made of sturdy plastic and can be assembled easy as child's play as a snap-together kit from a few parts. It is therefore ideally suited for children ages 3 and up. Batteries are included. 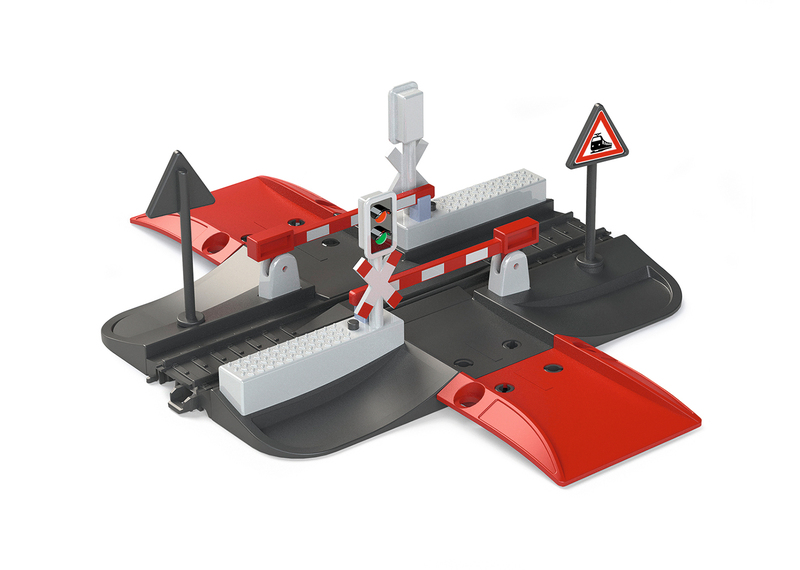 This railroad grade crossing is the ideal add-on to the battery-operated Märklin my world trains. 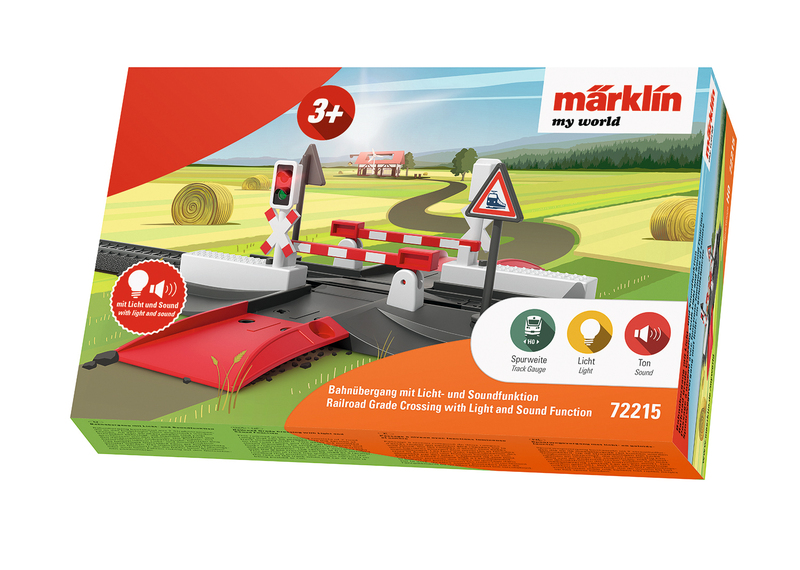 Märklin my world – "LINT Commuter Train" Starter Set. Märklin my world - Tunnel. Märklin my world - Sound Station.